South Africa’s National Department of Tourism (NDT) and South African Tourism (SAT) has officially released the tourists arrival data for the FIFA 2010 World Cup. The statistics presented by South Africa’s Tourism Minister Marthinus van Schalkwyk in Johannesburg followed an extensive study conducted by the department on the impact of Africa’s first FIFA World Cup on South Africa’s tourism industry. More than 309 000 tourists arrived in South Africa between June and July for the primary purposes of attending the World Cup and contributed about R3.6 billion (Ksh36 billion) to the domestic economy through spending. “Of these arrivals, 38% were from Africa, followed by 24% from Europe, 13% from Central and South America and 11% from North America,” Minister van Schalkwyk announced in Johannesburg. “There were many numbers that were thrown around before and after the tournament, but what we are announcing today is the figure of people who came to South Africa only for the purposes of the World Cup and its good news in terms of our tourism. It was worth all the time, the investment and the money,” he continued. The total expenditure in South Africa by tourists who came specifically for the tournament was R3.64 billion, with Europeans leading the pack followed by the United States. The overall average spend per tourist was R11 800 (Ksh118,000), a figure officials said was higher than the annual overall spent in South Africa in 2008, which was R8 400 (Ksh84,000). (8, 741) and Germany (8, 596). The United States topped the arrivals list with 30, 175 while Australia contributed 12, 210 arrivals. From Central and South America, the top three markets were Brazil with 14, 815, Mexico with 9, 680 and Argentina with 8, 757. “The World Cup also attracted a large number of first time visitors to South Africa, particularly from the Americas. A total of 59% of arrivals to South Africa for the World Cup were first time visitors,” the Minister said. “Out of the more than R3.6 billion tourism earnings, tourists from Europe contributed almost 25% (R954 million), followed by Central and South America (R641.1 million), land arrivals from our continent (R585.2 million) and North America (R555.1 million). More than 30% of the spend was on shopping, followed by 20% on accommodation, 19% on food and drink, 16% on leisure and 11% on transport,” he explained further. The survey results show that more than two thirds of the tourists who visited South Africa during the World Cup rated the country as an extremely good host, with a further 29% rating the country as good. More than half of the tourists who had attended other World Cup events in the past also felt that South Africa was a better host than other countries they had experienced. “Tourists were highly satisfied with their visits, and 72% rated their experience as extremely good. More than 90% of tourists said their experience of the country was better than they had expected before arriving. Minister van Schalkwyk said the World Cup was a major milestone in South Africa’s tourism growth and it cemented a foundation for sustained investment and growth in the tourism industry. “We are very pleased to note from the report that South Africa is indeed enjoying increased international positive exposure directly because of the World Cup. From our latest tourist arrivals figures, we also see that beyond the World Cup our arrivals are continuing to grow strongly,” he said. Tourist arrivals from January to September 2010 increased by 16.8% compared to the same nine months in 2009 recording 5.94 million arrivals as on September 2010, a 12.9% above the 2009 arrival figures. “I have no doubt that South Africa is reaping the rewards of hosting the Cup. 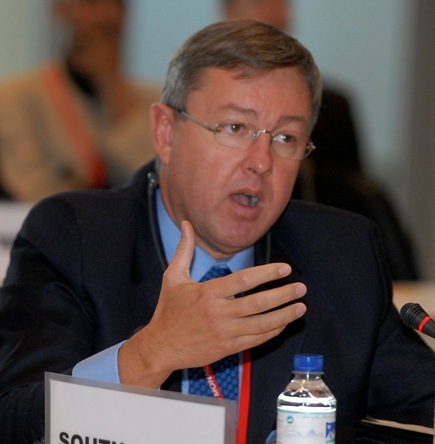 The tournament has positioned South Africa as a viable investment market and the spin-offs of improved perceptions abroad could have a long-lasting impact not only on South Africa and its development but on the continent as a whole,” Minister van Schalkwyk concluded.